What's so SimpleSavvy about it? — Simple.Savvy.Self. 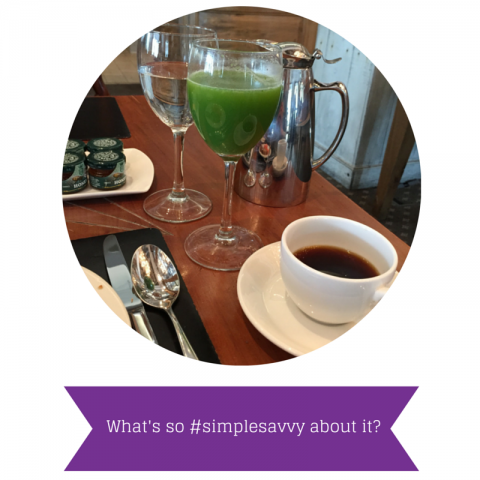 What's so SimpleSavvy about it? Simple.Savvy.Self. encompasses my personal three-pronged approach for staying healthy and feeling your best. I share this holistic style with women through my coaching programs. Plus, I’m a sucker for alliteration. Quite simply, when you tune out all the noise and distractions, you can start tuning into what works best for you. SAVVY: Overhauling your life = daunting. Even when we find the prospect of a life overhaul momentarily appealing (HELLO, New Year’s resolutions! ), it’s very difficult to sustain. That’s why diets NEVER work. I’ll repeat, DIETS NEVER WORK as a long-term solution. They’re a short-term fix with a holiday binge expiration date fast approaching. Instead, start capitalizing off the good habits that already show up in your daily life. Drinking a couple glasses of water a day? Awesome! Add in a couple more, one glass at a time, over the course of the next few weeks. Do you walk your kids to school every morning? Perfect! Start leaving 15 minutes earlier so you have time to clock some extra steps/mileage on the way home. Start paying attention to what you’re already doing well and do more of that. So often it’s the small tweaks, done consistently, that can have the greatest impact. SELF: I was taught in my health coaching program that one person’s food may be another person’s poison. The same goes for exercise, stress management, relationships, and career. We’re all unique. I recommend you start investing your time and energy (perhaps with the help of a health coach;) to figure out what works best for you in each of these areas rather than investing your hard-earned cash in the next diet book. Self care can seem selfish or unrealistic at first but when you start to see the pay-off in the way of more energy, glowing skins, and a better attitude then you start to see it as less of a chore and more as a non-negotiable. Keeping it simplesavvy requires dedication and support. Some days it’ll come easy and some days it’ll be much harder. Gretchen Rubin explains in her book, "The Happiness Project," what you do most of time (in bed by 10 p.m.) matters more than what you do once in awhile (eating cookies for breakfast). Bottom line: Keep it simple; do the best you can, most of the time, and give yourself a break when you don't. After all, it was just a couple Christmas cookies this morning, right? What's the deal with Health Coaches?